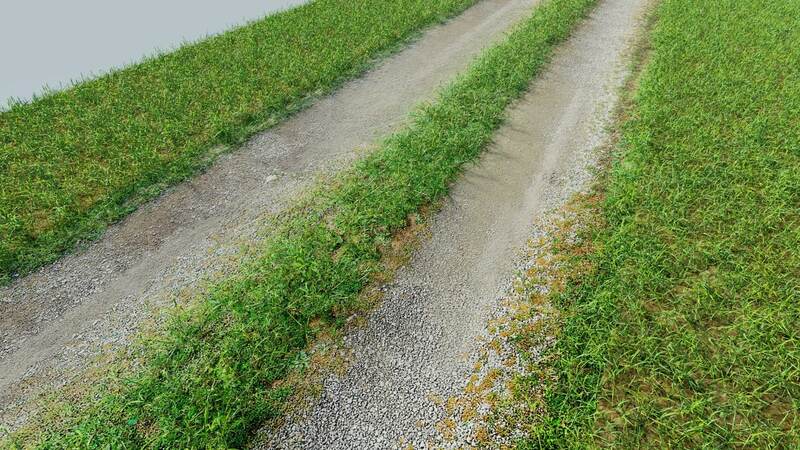 This is a photo-scanned, photo-realistic gravel driveway that has been edited to be tileable and low-poly. There are only 176 polygons in the driveway itself. These can be arrayed and bent along a curve. I also have it set up for micro-displacement in case you need detail for a close-up shot. 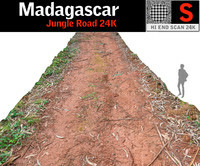 The texture resolution is 500 pixels per foot, capturing almost every piece of gravel in the scene. 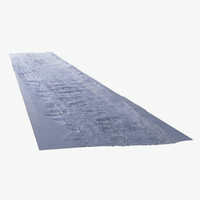 The size of the mesh is 22 feet by 8 feet, resulting in an 11,000 x 4,000 (44 megapixel) texture. 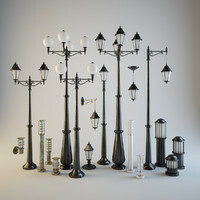 The scene in Blender is set up with an example curve, the appropriate modifiers, and a material for micro-displacement. For intermediate/advanced users, everything should be self-explanatory. Note that the surface appears flat in the viewport. This is because the material setup only displaces the mesh while rendering. If you're new to Blender, or something seems hard to understand, please don't hesitate to message. - A 44 megapixel albedo texture. - A 44 megapixel displacement map to lower the wheel paths in the driveway (the Blender material has this set up). - Game-ready version (512p) of the original textures. 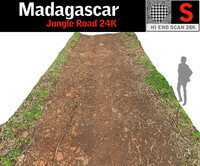 - The 22x8 plane object in a Blender file with all the necessary modifiers and material settings to make a seamless, curvy road. - An example curve to show how the arrayed mesh can follow a pre-determined path (the curve must be applied before grass particles can grow on the entire mesh). - A basic group of example grass to demonstrate particle setups. 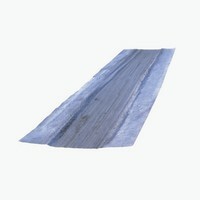 - An OBJ version of the plane with UV unwrapping for use/modification in the 3D software of your choice.